Sometimes I bake for the sake of baking. And sometimes it's for a purpose. I feel less guilty making sweet treats when I know they are destined for someone else. It removes some of the temptation from my path. Today at the gym my trainer asked what I was having for lunch after the work out. I said that I didn't know. He said that it was a good question that deserved an answer. I deliberately misheard "desserts are the answer" and said he was right. But I had deli chicken on a mini wheat bagel and carrots with homemade hummus instead. I saw this recipe a few weeks ago in an email and was holding on to it for the right occasion. And the birthday of my friend and co-worker was the right occasion. 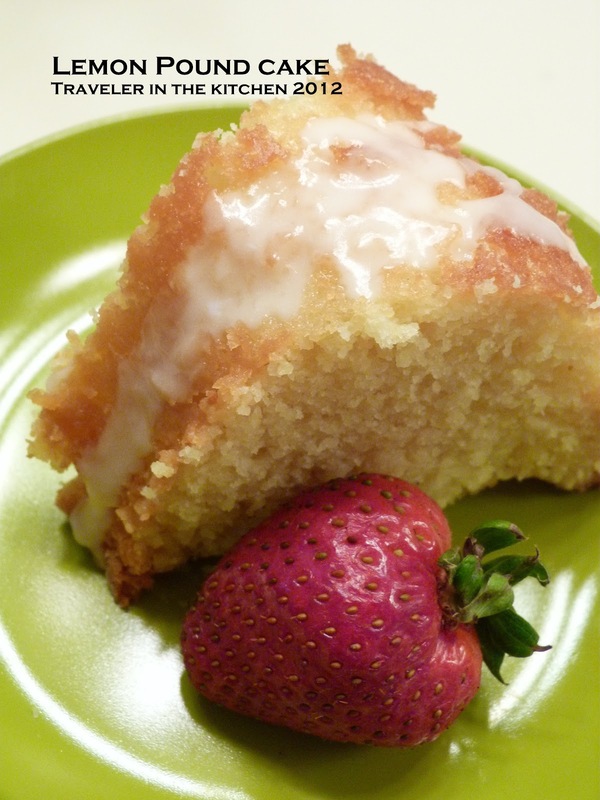 This cake is delicious with a kick of lemon and not too sweet. Have a slice and enjoy. Heat oven to 325° F. Butter and flour a 12-cup Bundt pan. In a medium bowl, whisk together the flour, salt, baking soda, and baking powder. Using an electric mixer, beat the butter, granulated sugar, and lemon zest on medium-high until light and fluffy, 3 to 4 minutes. Beat in 4 tablespoons of the lemon juice, then the eggs, one at a time, scraping down the sides of the bowl as necessary. Reduce mixer speed to low. Add half the flour mixture, then the yogurt, and then the remaining flour mixture. Mix just until combined (do not overmix). Transfer the batter to the prepared pan and bake until a toothpick inserted in the center comes out clean, 65 to 75 minutes (Colorado time was closer to 75 minutes). Cool the cake in the pan for 30 minutes, then turn it out* onto a wire rack to cool completely. To make the glaze, mix the powdered sugar and 1 tablespoon of the remaining lemon juice. I used my electric beaters for ease and to eliminate any lumps. Add additional juice if needed to get the glaze to a thick, but drizzle-worthy consistency. *The flaw in my design For reasons unknown to me, the cake would not come out of the pan. So the whole "turn it out onto a wire rack" never really happened. I sliced large sections and took them individually from the pan, sliced them smaller and then drizzled the glaze.